Before the Church can receive the full outpouring of another spiritual awakening, the Body of Christ must function as a unit and not individual parts. This will require a laying down of personal reputations and any need for validation so that we can fulfill our God-given purpose together. 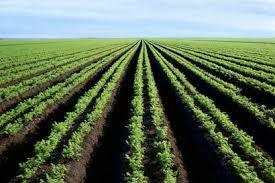 In a dream last week I was walking in a field of lettuce. The field was full of healthy, flourishing lettuce leaves that were full-grown and ready for harvest. Though I knew I was supposed to be seeing heads of lettuce everywhere, I saw something quite different. On my right, I saw rows of the outer leaves of the heads standing on end, one after the other standing tall and proud. Each leaf was growing up from the ground, side by side, with the large leaf fanning out like a small umbrella. The problem was that there were no other leaves underneath it to form a head. As I walked on further, I saw to my left the inside, smaller leaves growing up from the ground. They, too, were healthy and green, but each one was growing individually, side by side. Instead of growing in a bunch, like a head of Leaf Lettuce, they were growing separately as if to call attention to themselves. As I walked out of the field, I knew it was harvest time yet pondered how it could be done given the lack of formation. I believe this is how the Lord sees the Church right now. Though there appears to be some healthy growth as many believers are pursuing God’s heart and ways, there’s still a major problem: we were never meant to grow separately. We were created to grow as ONE, under the headship of Christ. The leaves on the right represent many shepherds and leaders in the church. They are designed to be the “covering” for the Body as they give oversight and nurture to the sheep in their care. Just as the outer leaves on a head of lettuce protect the inner leaves, so the shepherds are to cover and protect the flock. Under their watch, the parts of the Body should grow, thrive and mature into the fullness of all God created them to be. Though many leaders have been growing and desiring to be strong in the Lord, some are disconnected from the Body because they are so focused on THEIR part. If there is any need to be validated and noticed they will end up leaving their sheep behind (pun intended!) When there is focus on building individual ministries instead of the kingdom, leaders will get disconnected from the Body. Though this certainly doesn’t pertain to every leader, the temptation is common to all. If leaders are not settled in their identity in Christ, the need for acknowledgement, reputation and success is alluring. Though these outer leaves may have appeared healthy, without any leaves underneath, they were not fulfilling their purpose and could not be harvested. In like manner, the leaves on the left represent the sheep – believers called to be a part of the Body of Christ, where each one does their part – without anyone standing out. In the dream, it felt like the individual leaves were almost calling out for attention, saying “Look at me!! !” Yet, they were separate, unattached and unable to connect. They were not fulfilling their part, either, because they were not bound together. Though I love teaching on and empowering others in discovering their spiritual gifts, there is a strong temptation today to seek validation through our gifts. We begin to label ourselves from our gift and seek recognition for our part. Our flesh wants to stand out in the crowd as a special part. This is dangerous as it puts the focus on the parts rather than the whole. 1 Corinthians 12:12 states, “The body is a unit, though it is made up of many parts; and though all its parts are many, they form one body.” This is what heaven is looking for. This is what must come together so that the Holy Spirit can pour Himself upon the entire BODY of Christ – not just individual parts. It is under the HEADSHIP of Jesus Christ that we can be one and must be one. The great news is that because we were designed and created to be ONE, this is where we will find our greatest joy, our greatest fulfillment and our greatest purpose. Yes, we need to know our spiritual gift and our role in the Body. Yes, we can rejoice in this and affirm one another in the gifts. The question is this: Can you LOSE YOURSELF for the sake of the WHOLE? Can you use your gift to simply SERVE others without the need for acknowledgment or validation? Can you serve the Body of Christ as unto the Lord and not unto men? Are we willing to die to ourselves individually in order for Christ to be revealed through the whole Body? When you see a head of lettuce, you don’t notice the individual leaves. All the leaves together form the head. That is how it was designed to grow. I appeal to my fellow believers to be willing to lose yourself for the greater cause. Don’t worry if you don’t seem to be noticed or recognized for the part you play. HEAVEN sees it and rejoices! God is pleased with the growth and your desire to be like Him. It’s harvest time and we need to work together for a greater Kingdom than our own. If we humbly lay down our lives and reputations and submit one to another, God cannot help but command His blessing and favor in our lives and in our communities.